Our commitment to quality transportation for all our customers does not stop with our taxis, party buses or Flyer Shuttle service. At Ace Taxi, we also offer ExecuCar—our executive service designed to meet the needs of the discerning traveler. ExecuCar is a division of Ace Taxi Service that specializes in corporate executive car service for passengers who enjoy luxury in transportation.Our ExecuCar division offers a fleet of late-model Cadillac, Lincoln and Mercury vehicles that cradle passengers in complete comfort. ExecuCar vehicles are the most comfortable way to travel from Point A to Point B and are often a great choice for those who want to relax after a long flight or a hard day at the office on the way to their next meeting. 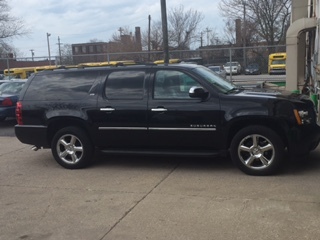 These vehicles are also ideal for picking up important clients and transporting them to their destinations. The ExecuCar Division is also introducing a number of specialized shuttle vans that will offer many more features for the discerning passenger. These vans offer beverages, newspapers, flowers and WiFi for travelers to relax and indulge themselves in complete luxury on their journeys. Because the number of vehicles in this category are limited, it is important to book early by contacting Ace Taxi Service as soon as possible to arrange your transportation. Who Are Ace Taxi Drivers? Ace Taxi Service and the ExecuCar Division do not only provide the best vehicles with the most amenities possible; we also provide you with the very best drivers. Only the most qualified, professional drivers are permitted to become Ace Taxi drivers! We ensure that all of our drivers are friendly and courteous, but more importantly they are vetted for licensing, bonding and insurance purposes. You can always rely on Ace Taxi drivers offering you the very best in safe transportation.